To create a bootable installer of the macOS on USB drive is useful to repair filesystem when another mac is not bootable. Step 1: A 12GB Flash Drive (at least!) and formated with Mac OS Extended (Journaled) and Choose GUID Partition Map as the Scheme. 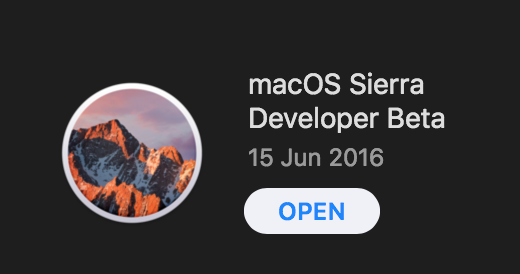 Step 2: Go to Mac App Store and from the past purchase history, see if there is any Sierra Developer Beta in purchase history and then download it. For unknown reasons, the previous versions of macOS cannot be downloaded in the Mac App Store of Mojave. There is one more rule : "A Mac can boot NO version OLDER than the version it shipped with". So choose the newer version. Step 4: Use the bootable macOS installer USB in a mac and press Option key when boot and use terminal to repair disk or filesystem. The reason to use High Sierra or above is that it can mount the new Apple File System (APFS).